Tomorrow, December 22nd, is the regular deadline for submissions for Horror Society’s film festival, Windy City Horrorama. Submissions can be made at filmfreeway.com/windycityhorrorama right now! Horror Society prides itself on being the voice of independent horror. Now, we want to show off your work on the big screen! Horrorama will be taking place on April 27th-29th at Chicago’s landmark Davis Theater. Horror Society (horrorsociety.com) and the newly re-opened landmark Davis Theater want to send chills down your spine this spring showcasing the best the genre has to offer. The first ever WINDY CITY HORRORAMA is a film festival celebrating the DIY spirit of independent genre films, from the hard working hands that make them to the enthusiastic audiences that come out in droves to see them. Chicago has such a robust film and genre fan community, those involved with this event can’t wait to be a part of its rich tradition while presenting some kickass horror! The festival will take place from Friday, April 27 to Sunday, April 29, day and night at the Davis Theater, a recently refurbished theater and bar in Chicago’s historic Lincoln Square neighborhood. Fest co-founder and Horror Society programmer Matt Storc is teaming up with Chicago International Film Festival’s After Dark programmer Alex Vazquez to put together a weekend of skin-crawling movies, filmmaker interaction, drinking, and celebrations of all things horror. 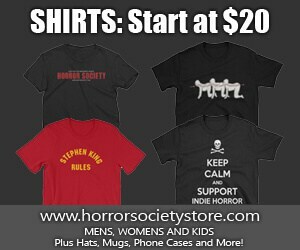 HorrorSociety.com has always been your voice for independent horror. So let your voice be heard! If you have a horror, sci-fi, fantasy, or otherwise genre-based short or feature film, WINDY CITY HORRORAMA is now accepting your entries. Next article Gravitas Ventures takes North American Rights to ‘’The Unraveling’’ from London based One EyedFilms. Jason Horton’s The Campus on VOD (Amazon Instant) February 1st!